Faculty. Full-time members of the academic staff on the various campuses with the rank of instructor or above and equivalent ranks. Other Academic. Part-time members of the academic staff, members of the academic staff below the rank of instructor or equivalent; and other personnel with academic responsibilities not holding faculty rank. [Board of Supervisors of Louisiana State University and Agricultural and Mechanical College. (10/2/08). Bylaws and Regulations (Chapter II, Section 2-1). Criteria: Personnel who are employed primarily for research assignments, whose duties and responsibilities are essentially the same level as those of Instructor are appointed to the rank of Associate. Associates are expected to perform specialized research, instructional, extension, service, or artistic routines under the supervision of a member of the professorial ranks. The individual must have graduated from a regionally accredited college or university or have extensive (4 or more years) research, instructional, extension, or artistic experience in the subject or a closely related area. Faculty Status: This rank does not carry faculty status. A change in rank from Associate to Instructor shall be regarded as an appointment to the faculty and not as a promotion. Tenure and Appointments: Associates do not earn tenure and are appointed for a specified term. Educational Provisions: Refer to LSU System PM-12, Educational Privileges for Full-Time Nonacademic and Other Academic Employees, December 12, 2000. Criteria: The individual must have graduated from a regionally accredited college or university or have extensive (4 or more years) library experience. Library Associates are expected to perform the simpler and specialized library routines under the supervision of a professional librarian. Criteria: Individuals appointed to this rank normally should possess the highest degree requisite in the subject matter area (a minimum of a master’s degree). Each department, in collaboration with the Dean of its college, should establish definite standards to indicate what degree it considers requisite for the rank of Instructor. In addition to the above academic requirement, the individual should show promise of the ability to perform successfully the duties (teaching, research extension, or other scholarly activity) for which he/she was employed or which may be assigned in the future. Faculty Status: The rank of Instructor carries faculty status. Tenure and Appointment: Instructors do not earn tenure and are appointed for a specified term. Educational Provisions: Individuals may petition (through channels to the Chancellor) to register for undergraduate and/or graduate courses. Each petition shall be evaluated on its own merit. Major factors in determining the course load to be allowed shall be the employee’s work load as shown on the appointment form and the relationship of the proposed course to the employee’s work assignment. Normally, individuals will not be permitted to register for more than one course during regular working hours. Criteria: Minimum qualifications include graduation from a regionally accredited college or university, plus a degree from a library school accredited by the American Library Association, plus library experience. The individual is expected to perform, under supervision, library tasks of a complex nature and to exercise responsible judgment in administering library routine. Faculty Status: The same as for Instructor. Tenure and Appointment: The same as for Instructor. Educational Provisions: Individuals may petition (through channels to the Chancellor) to register for undergraduate and/or graduate courses. Each petition shall be evaluated on its own merit. Major factors in determining the course load to be allowed shall be the employee’s workload as shown on the appointment form and the relationship of the proposed course to the employee’s work assignment. Normally, individuals will not be permitted to register for more than one course during regular working hours. Criteria: The individual shall meet the standards, which govern appointment to the rank of Instructor and shall normally possess the commonly accepted terminal degree in the subject matter area. In addition, the person should exhibit clear evidence of potential for excellence in teaching, research, extension, or other scholarly activity. Faculty Status: Assistant Professors have faculty status. Tenure and Appointment: Term appointments at this rank are to be for one, two, or three years. During the sixth year of service in rank as an Assistant Professor, a “pre-tenure review” will be conducted to evaluate the individual’s performance so that before the end of the sixth year of service the individual will be informed of the University’s position regarding his/her retention. Upon reappointment after seven (7) years of service in rank on a particular campus, tenure is automatic and appointments are for an indefinite period of time. Individuals at this rank who are paid from grant or contract funds shall not acquire tenure through the passage of time, but may become tenured only by specific individual recommendation through appropriate channels and approval by the President. Persons holding a rank above the level of Instructor (or an equivalent rank) may not become a candidate for an earned degree on the campus of employment. Criteria: Minimum qualifications include graduation from a regionally accredited college or university, plus a degree from a library school accredited by the American Library Association, plus varied experience in college and university libraries. A graduate degree in a subject field, in addition to the graduate degree in library science, is desirable for this rank. Individuals are under the supervision of a library administrator to supervise the work of professional and nonprofessional assistants and to aid in the development of materials and services to meet the instructional, research, and extension needs of the University. Faculty Status: The same as for Assistant Professor. Tenure and Appointment: The same as for Assistant Professor. Educational Provisions: The same as for Assistant Professor. Criteria: The individual shall meet the standards which govern appointment and promotion to the rank of Assistant Professor. In addition, he/she shall have established a consistently good reputation as a scholar and have demonstrated a high quality of productivity. Normally, the individual will have served at least three (3) years as an Assistant Professor. Faculty Status: Associate Professors are senior members of the faculty. Tenure and Appointment: Initial appointments of Associate Professors who join the campus at that rank and their subsequent reappointments may be made for a specified term through not more than five (5) years of total service on that campus. Persons promoted to the rank of Associate Professor after less than five years of service on the campus may be continued to term appointment no more than the fifth year. Individuals paid from grant or contract funds do not acquire tenure through the passage of time, but may become tenured only by specific individual recommendation through appropriate channels and approval by the President. With the exceptions noted above, Associate Professors are tenured and are appointed for an indefinite period of time. Educational Provisions: The same as Assistant Professor. *Exemptions to the rules pertaining to tenure and term appointments at the Pennington Biomedical Research Center and the Paul M. Hebert Law Center are found in Chapter II, Section 2.7 of the Bylaws and Regulations of the LSU Board of Supervisors. Criteria: Same as for Assistant Librarian. In addition, this rank calls for proven administrative qualities of leadership, and other personal and academic qualifications should be contributing factors. The individual, as delegated by the Director of the Library, assists in the administration of major areas of library service and contributes to the formulation and execution of an effective library program. Faculty Status: The same as for Associate Professor. Tenure and Appointment: The same as for Associate Professor. Criteria: Individuals appointed or promoted to the rank of Professor shall possess all of the criteria and meet all of the standards for Associate Professor. He/she shall have demonstrated an excellence in teaching, research, extension, and/or other scholarly activity in the subject matter area. The faculty member shall have established a commendable academic reputation through publications, extension educational outreach and service, or other creative work. Normally, the individual will have had at least five (5) years of successful service as an Associate Professor. Faculty Status: Professors are senior members of the faculty. Tenure and Appointment: Initial appointments of Professors who join the campus at that rank and their subsequent reappointments may be made for a specific term through not more than five (5) years of total service on that campus. Persons promoted to the rank of Professor after less than five years of service on the campus may be continued to term appointment no more than the fifth year. Individuals paid from grant or contract funds do not acquire tenure through the passage of time, but may become tenured only by specific individual recommendation through appropriate channels and approval by the President. With the exceptions noted, Professors are tenured and are appointed for an indefinite period of time. * Exemptions to the rules pertaining to tenure and term appointments at the Pennington Biomedical Research Center and the Paul M. Hebert Law Center are found in Chapter II, Section 2.7 of the Bylaws and Regulations of the LSU Board of Supervisors. Criteria: Minimum qualifications are the same as for Associate Librarian. In addition, this rank calls for extensive administrative experience in which responsibility and judgment of an independent nature are required. The individual should be capable of exercising the top administrative functions of the library. Librarians assist in the administration of all aspects of library service and operation and share in the formulation and execution of policy. Faculty Status: The same as for Professor. Tenure and Appointment: The same as for Professor. Criteria: Individuals employed jointly by the Medical Center and an affiliated hospital who have academic responsibilities equivalent to the full-time University faculty may be designated as Full-Time Affiliate Faculty. Faculty Status: Full-Time Affiliate Faculty are members of the faculty. Tenure and Appointment: Full-Time Affiliate Faculty is appointed for term appointments of one, two or three years and are not eligible for tenure. Those who are gratis or whose University contribution to salary is less than 25 percent shall be considered as volunteer faculty insofar as employee benefits are concerned. However, if the University contributes 25 percent or more of their total salary, the percentage of University contribution should be indicated and employee benefits appropriate to that percentage provided. * Note: This Rank does not pertain to LSUHSC-S. Criteria: These courtesy titles are to be given to visitors from another institution of higher education who are on a temporary duty assignment with a component of the LSU System. The individual shall be given the equivalent academic rank as assigned by his/her home institution with the designation, “Visiting”, added to the title. Faculty Status: Individuals holding these ranks are not given the right to vote in faculty matters. Tenure and Appointment: Tenure is not awarded to individuals holding these ranks. Employees holding these ranks are to be given term appointments not to exceed one year in length. Criteria: Appointment to the rank of Boyd Professor, Alumni Professor, Distinguished Professor, or any other designated professorships are governed by rules and regulations developed specifically for those purposes. Faculty Status: Designated Professors are senior members of the faculty. Tenure and Appointment: See specific rules and regulations for that particular designated professorship. Criteria: Only individuals whose primary responsibility is conducting research or extension education and who often are paid from grant or contract funds are to be appointed to these ranks. (A) Persons appointed to the rank of Postdoctoral Researcher must possess a Ph.D. or equivalent degree. They are expected to assist and perform specialized research routines under the general supervision of a member of the professorial ranks. (B) Senior Postdoctoral Researchers must possess a Ph.D. or equivalent degree and shall normally have a minimum of three years postdoctoral experience in a laboratory or in extension education. Persons appointed to this rank are expected to perform independent research or extension service under the direction of a member of the professorial staff. (C) Instructor - Research or Extension must possess a Bachelor’s degree and usually would have a minimum of a Master’s degree. Persons appointed to this rank are expected to engage in research or extension related activities under the general supervision of a member of the professorial ranks. (D) Appointees to the rank of Assistant Professor - Research or Extension must possess a Ph.D. or equivalent degree and shall normally have at least five years of postdoctoral experience in a research laboratory or five years experience as an extension professional. In addition, the individual is expected to meet the standards which govern appointment to the rank of Assistant Professor, excluding the instructional criteria. (E) A Ph.D. or equivalent degree and a minimum of nine years of postdoctoral experience in a research laboratory or nine years of experience as an extension professional is normally required for appointment as an Associate Professor - Research or Extension. The individual is also expected to meet the standards for appointment as Associate Professor, excluding the instructional criteria. (F) Persons appointed to Professor - Research or Extension must possess a Ph.D. or equivalent degree and shall normally have a minimum of 12 years postdoctoral experience in a research laboratory or 12 years experience as an extension professional. Also the individual should meet the same standards for appointment as Professor, excluding the instructional criteria. Faculty Status: Individuals appointed to these ranks shall have the same faculty status as the respective professorial rank, except that these individuals may not vote on academic standards or policy matters. Tenure and Appointment: Individuals in these ranks do not acquire tenure through the passage of time and may become tenured only by specific individual recommendation through appropriate channels and approval by the President. If an individual in one of these ranks is temporarily switched from grant or contract funds to permanent funds that time does not count toward tenure unless specifically approved through channels by the President. Criteria: This is a non-tenure track for full-time faculty in the clinical sciences who are effective in teaching and service programs and are essential for patient care, but whose research publications or scholarly activity does not warrant appointment or promotion to tenured positions. Faculty Status: Individuals appointed to these ranks have the same faculty status as full-time members of the faculty with equivalent rank. Tenure: Tenure is not awarded to individuals holding these ranks. Term appointments are made not to exceed one year. Educational Provisions: The same as for Assistant Professor. Criteria: This is non-tenure track for non-full-time faculty in the clinical sciences who are effective in teaching and service programs and are essential for patient care, but whose research publications or scholarly activity does not warrant appointment or promotion to tenured positions. Faculty Status: Individuals appointed to these ranks shall have faculty status except that these individuals may not vote on academic standards or policy matters. Tenure: Tenure is not awarded to individuals holding these ranks. Term appointments are made not to exceed one year. Criteria: This is a non-tenure track for full-time faculty in the professions (eg. Education) who are effective in teaching and service programs and are essential for coordinating field work and supervising students in the field, but whose research publications or scholarly activity do not warrant appointment or promotion to tenured positions. Faculty Status: Individuals appointed to these ranks have the same faculty status as full-time members of the faculty with equivalent rank. They may be enfranchised to the degree deemed appropriate by the faculty unit (system, campus, college, division, or department). Tenure: Tenure is not awarded to individuals holding these ranks. Educational Provisions: Same as for Assistant Professor, Associate Professor and Professor. Criteria: Individuals who meet the criteria and standards for designation at a specific full-time academic rank, but who are employed on less than a 100-percent basis by a component of the University System, are to be accorded one of the respective ranks listed above. Faculty Status: As a class, individuals with the rank of Instructor, Parttime; Assistant Professor, Part-time; Associate Professor, Part-time; and Professor, Part-time may be enfranchised to the degree deemed appropriate by the faculty unit (i.e., System, campus, college, division, or department). Tenure and Appointment: Personnel holding one of the above ranks do not receive tenure. Appointments at these ranks are made for terms not to exceed one academic or fiscal year in length. Educational Provisions: The same as for Assistant Professor, full-time. Terms of Employment: Services of part-time faculty personnel may be terminated by giving such employees reasonable notice with the approval of the Chancellor. “Reasonable notice” shall be interpreted to mean written notice given at the time the action is instituted by the employee’s Department Chairman and effective after a period of time equivalent in days to the usual payroll period of the employee. Criteria: These ranks are to be conferred upon those individuals whose Primary employment is outside the department, but who make substantial contributions to the instructional, extension, and/or research programs of the LSU System. Recommendations for such ranks are to be made in the same manner as for the equivalent full-time rank. Faculty Status: Personnel appointed to one of these ranks are not allowed to vote on faculty matters. Tenure and Appointment: Tenure is not awarded to individuals in these ranks. Term appointments not to exceed one academic or fiscal year in length are awarded in these ranks. Criteria: This title is limited to part-time appointments without rank designation and is restricted to specialists and professional men and women whose primary occupation is the practice of their profession. Faculty Status: Personnel appointed to this rank are not given the right to vote on faculty matters. Tenure and Appointment: Tenure is not awarded to individuals in this category. Term appointments not to exceed one academic or fiscal year in length are awarded in this category. Educational Provisions: The same as for Assistant Professor, full time. Criteria: Part-time personnel whose primary role is related to a clinical setting shall be given the appropriate rank listed above. Recommendations for these ranks are to be made in the same manner as for the equivalent full-time rank. When an individual holding one of the above ranks is also appointed as a department head/chairman, the designation “Clinical” is dropped. Faculty Status: As a class, individuals with one of these ranks may be enfranchised to the degree deemed appropriate by the faculty unit (i.e., System, campus, college, division, or department). Tenure and Appointment: Personnel holding one of these ranks do not receive tenure. Appointments are made on a term basis of not more than one academic or fiscal year. Criteria: Individuals who meet the criteria and standards for designation at a specific library rank, but who are employed on less than a 100-percent basis by a component of the University System, are to be accorded one of the respective ranks listed above. Faculty Status: As a class, individuals with the rank of General Librarian, Part-time; Assistant Librarian, Part-time; Associate Librarian, Part-time; and Librarian, Part-time may be enfranchised to the degree deemed appropriate by the respective unit of the System, campus, college, division, or department. Tenure and Appointment: Personnel appointed to one of the above ranks do not receive tenure. Appointments at these ranks are made for terms not to exceed one academic or fiscal year in length. Eligibility. A faculty member on one of the various campuses of the University System who has attained national or international distinction for outstanding teaching, research, or other creative achievement may be designated a “Boyd Professor.” The “Boyd Professorship” shall be regarded as the highest professorial rank awarded by the University. Procedure for Nomination. Nomination of a Professor for designation as a “Boyd Professor” shall originate with a Dean or Deans (in the case of split appointments) or a Director of a school, which is not a college, in which a nominee holds professorial status. The nomination shall be addressed to a Review Committee through the Chancellor of the campus on which the nominee is a faculty member. The nomination by Deans or Directors shall be reviewed by a committee comprised of the Chief Academic Officer of the System staff, who shall serve as chair, two Emeriti members, and three faculty members appointed by the President from throughout the University System. Upon recommendation by the appropriate campus, the title “Professor Emeritus” shall be conferred upon all persons who upon retirement have attained the title of Professor and who have been in the service of the University for a period of at least ten (10) years. The said title may also be conferred, upon recommendation of the appropriate campus, at the discretion of the Board of Supervisors upon a person who upon retirement has attained the title of Professor even though the period of service is less than ten (10) years, if it is determined that the person has made outstanding contributions to the University in either the field of scholarship or public service. Any person who has held the position of Academic Dean, Director, or Department Head for a period of ten (10) years may be retired with the title “Dean, Director, or Department Head Emeritus.” Where applicable to other positions within the University, an Emeritus title may be conferred upon the recommendation of the President in appropriate cases. 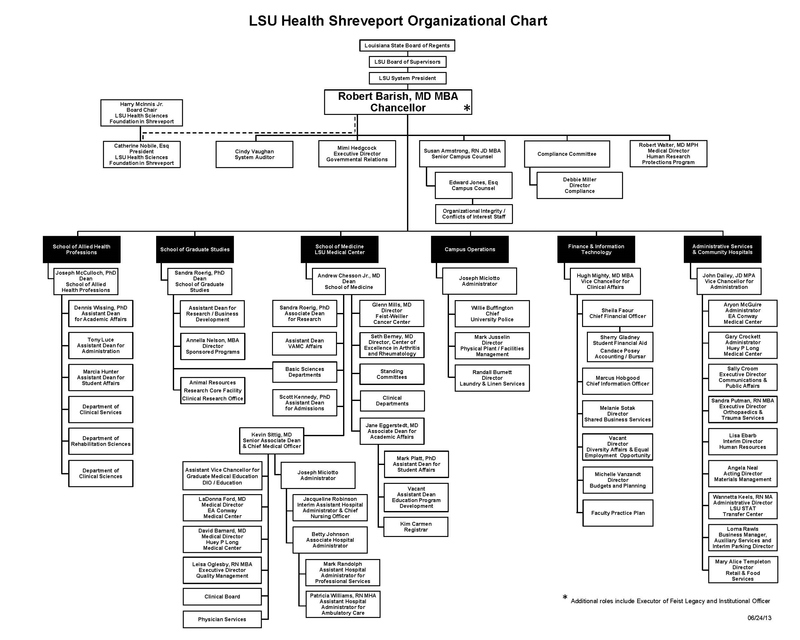 LSU does not employ on a regular basis individuals who have retired from service at Louisiana State University. Such individuals may be employed on a temporary, non-continuing basis; however, it is expected that regular employees will be utilized when available. Where there is a documented need to secure the services of a University retiree because the individual possesses particular knowledge and qualifications not possessed by available applicants for regular employment, the Chancellor is authorized to approve the appointment of such retired individuals for a period not to exceed six (6) months. Recommendations for appointment of a University retiree for more than six (6) months are to be submitted to the office of the Vice Chancellor for Academic Affairs through the appropriate Dean’s Office. All actions for retired individuals are subject to applicable personnel and equal employment practices, including the normal review and authorization procedures for academic and unclassified employees. A faculty member who accepts an administrative position maintains faculty status and tenure rights.